We were so pleased to hear from Dr. Juan G. Lopez, an Oral Maxillofacial Surgeon with Johns Hopkins/Aramco Healthcare in Saudi Arabia. He submitted his photo below performing surgery, as part of the Enova 10th Anniversary Sweepstakes Photo Contest, and we wanted to share his story. LED surgical headlights are not new to Dr. Lopez and he upgraded to the Cyclops XLT-125 to see just how much his surgical field could be improved. Shedding Light: Where is your practice and what is your medical background? Dr Lopez: I currently work at Johns Hopkins/Aramco Healthcare as an Oral Maxillofacial Surgeon in Saudi Arabia. 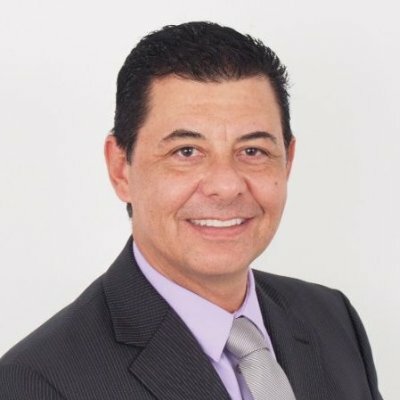 I’m from Colombia and received my dental training there including getting my DMD and OFMS. 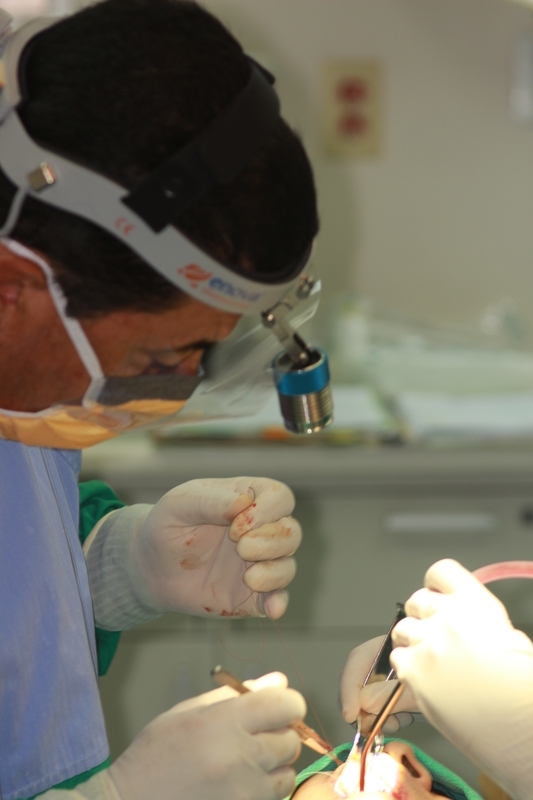 In Colombia, I worked as an assistant professor and immigrated to the United States in 1995 and redid my dental and oral and maxillofacial degrees at New York University in New York. Then I received a Fellowship in Orthognatic Surgery at Lenox Hill Hospital in New York, worked as an OFMS and attending resident at Staten Island University. I entered private practice in North Carolina in 2002 and then moved to Florida, where I practiced full scope oral maxillofacial surgery. Shedding Light: What is Johns Hopkins/Aramco Healthcare? Dr Lopez: It is a first-of-its-kind healthcare joint venture between Saudi Aramco and Johns Hopkins. Saudi Aramco is Saudi Arabia’s government-owned oil company and the world’s largest energy company. The program builds on Saudi Aramco’s existing health system and started in early 2014. I jumped at the opportunity to work in Saudi Arabia, where there is a need for quality, innovative health services. I’ve always had a passion for interacting with patients and improving their lives through their dental treatments. It’s the main reason I entered dentistry and I’ve been happy to have such rich experiences throughout my career, including at Johns Hopkins/Aramco. Dr. Lopez: As my practice and goals have evolved, I’ve become more focused on bringing healthcare and resources to underserved areas. I appreciate the ability to diagnose and apply 3-D technology at the moment it is needed; that’s possible today. Dr. Lopez: Lighting is so important during surgery and today there are many surgical lighting choices. With the Cyclops XLT-125, for instance, the field of view and detail is much better so I can stay focused and provide faster and accurate results. The XLT-125’s illuminated field is so bright I’m confident in making a precise cut and I’m able to anticipate any immediate problems during surgery, thereby preventing potential complications. Dr. Lopez: I first saw Enova’s website and then I heard more about their headlights by word-of-mouth. I was looking for a surgical headlight that was different from what is common in the market. It had to be easy to handle, easy to focus, and extremely lightweight. That’s what I get with Enova’s Cyclops XLT-125. Shedding Light: Do you go on mission trips? Dr. Lopez: Yes. I’d been going to Saudi Arabia since 2008 and have been on other mission trips to South America. Most of the facilities available on mission trips don’t offer bright surgical lighting and having a portable, LED surgical headlight is a necessity. Shedding Light: How and why did you choose the Cyclops XLT-125? Dr. Lopez: I started using earlier Enova models and although they were great, I became curious to see how much I could actually improve my surgical field. Indeed, the Cyclops XLT-125 was the right choice. Dr. Lopez: I’ve had my Cyclops XLT-125 LED surgical headlight for about eight months and use it for everything and on a daily basis. Even when I go to the operating theatre I have my XLT-125 with me; it gives me the confidence to perform a better job. Shedding Light: What do you like best about your Enova surgical headlight? Dr. Lopez: It is lightweight, easy to use, and the light is the best and brightest I’ve found. And, the light lasts a long time—I charge the battery at the end of two or three days and am very pleased. Dr. Lopez: Definitely! Anyone who needs a constant and reliable light source should look at Enova’s headlights. Manufacturers like Enova are innovating to the point that more dental and surgical clinics are making the switch to LED headlights. Surgery Fellowship before starting my Pediatric Craniofacial Fellowship.